♥ Ƹ̵̡Ӝ̵̨̄Ʒ ♥ - Your birthday is actually your *PERSONAL* New Year - I like my year resetting here instead of New Year's Eve. I like to reflect on what worked or didn't work for me a bit before my birthday. ♥ Ƹ̵̡Ӝ̵̨̄Ʒ ♥ - Pick a word - It is said you should pick a word that reflects what you wish to manifest in the new year. ♥ Ƹ̵̡Ӝ̵̨̄Ʒ ♥ - Intention vs Resolution - If you pick a word that word will become an intention, you have more of a chance of being successful with an intention than you might with a resolution. the smallest interval measurable by a scientific (especially optical) instrument; the resolving power. Instead of just focusing on an 'ending' wouldn't you rather focus on something 'healing'? Oddly enough an astrologer (for my Latinos in the house, it was "El Nino Prodigio" - in case you are wondering this is NOT a sponsored post and I was not asked to link to him, he has no idea who I am) - suggested that for those born my under my zodiac sign (Aries if you are wondering) - the "intention" word I should select for this year is "Abundance". Oddly my first name, Tracy - means "The Harvester". Hmmm...The Harvester of Abundance - there is just something so right about that. So while I may not set specific resolutions, I *LOVE* the idea of embracing 'Abundance' as my intention word for this upcoming year. Your intention word is something you wish to manifest and create more of in your life. 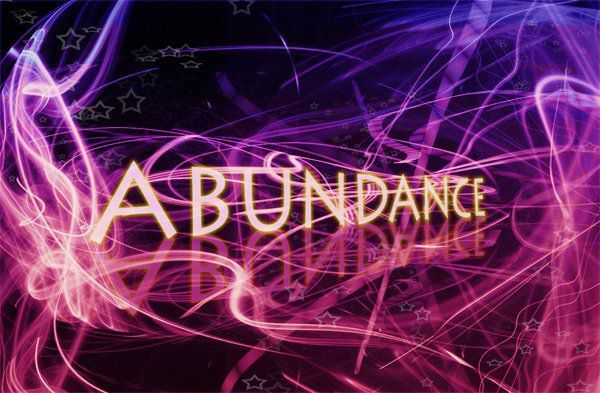 And since 'abundance' can apply to almost every area of your life, I am embracing this suggestion. So while I focus on the things I want for the upcoming year I will visualize them coming in abundance. Wishing all my butterflies out there a Healthy, Happy, Prosperous and Abundance filled New Year. May 2017 be your best year yet. Please stay safe on New Year's Eve and do NOT get into any car if the driver has been drinking, whether it is someone you know or a taxi, if the driver appears inebriated, do NOT get in. Readers Sound Off: Do you set resolutions for the New Year? If so, what are some of yours and why? If you don't set resolutions, will you consider an intention word for this upcoming year? FTC Disclosure: This is NOT a Compensated/Sponsored Post and all thoughts and opinions are my own. I am disclosing this in accordance with the Federal Trade Commission 16 CFR, Part 255 - Guides Concerning the use of endorsements and testimonials in advertising, you may check our Giveaway and Disclosure Page for additional information regarding Ascending Butterfly Disclosure. I don't set resolutions or intentions anymore. I never follow through on resolutions and intention is only an idea to do something. Last year, I RESOLVED to do something, and I finally did it. Resolve is the intent to do something and the action to follow through. That works! 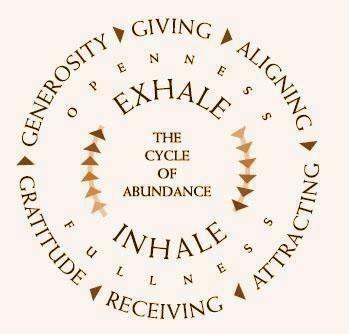 I love setting 'abundance' as an intention for the new year. It's great to both reflect and project for what you are hoping the new year will bring. @Boulder - I have been enjoying reading other's people's 'word of the year' on facebook, have you selected a word? I really think abundance would have to be my word of choice for the following year. I have been putting things in place for that to happen so fingers crossed. Happy New Year! I don't usually set resolutions because I a, daughter at keeping them. I do like to use the new Year to go over my goals and make sure I am doing what I really want to be doing in the new year. @Pam - I personally think that is exactly the point Pam, use this time to reflect and goal set. What you want to manifest can only come after you done the reflecting and planning. I love the idea of picking a word. I'm going to think about what mine should be for the new year since I don't do resolutions. Maybe something like "learn" or "adventure". i have set resolutions for this year. to do better with money and to also become healthier. i am so planning to stick to them. I have to admit I don't set resolutions, winter is a bad time of year for me, my mental and physical health goes downhill so anything I set out to do fails, as such I do something when it is more light and bright outside. @Sarah - Sorry to hear that. I can definitely relate, I think that is why I prefer using my birthday as my personal *new year* so I don't feel the pressure of focusing on it at a time of the year that is certainly hard enough and filled with it's own pressures. I also like to restart my year at my birthday, which happens to only be 10 days before the years ends lol. I don't really like to set a resolution, because to be honest I'm not that good at following through. But i DO love picking a focus word. I have to say that is an interesting (and refreshing) thought. Healing something instead of resolving to do something new? I like this and think I will try it! I am not a huge resolution guy. I rather prefer to write out quarterly goals and work daily toward achieving them. Picking a word is a new thing for me. I really like that idea! I love the idea of using your birthdays as your own personal new year. I will have to pick a word for this year. @Ann - Please come back and let me know. I love seeing everyone's words for the new year. I really like the idea! This is interesting and new idea for me. I love your intention word. I haven't thought of mine yet. Last year was FOCUS. I love this so much! I don't make resolutions either, I say our hopes for 2017! @Brianne - I felt the same way when I first hit on these ideas, they just immediately resonated and felt much like a lightening bolt! There is another one I forgot to add - making a list of everything that went horribly wrong in a year and burning it at midnight and releasing any anger, fear, resentments or frustrations those obstacles or experiences generated.